At WWDC 2012, Apple showcased the next iteration of OS X called Mountain Lion. The OS is said to have more than 200 new features. Users who have Lion or Snow Leopard will be able to upgrade to Mountain Lion for $19.99 (Rs. 1,120 approx.). Customers who pick up new Macs will get a free upgrade to the new OS. 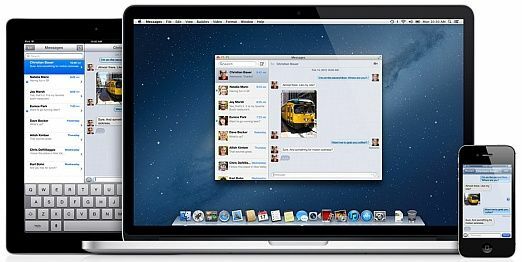 Apart from the already unveiled features of Mountain Lion, such as notifications, iCloud integration and reminders, Apple has unveiled new features of the OS. Developers can download a "near-final" build of the new OS right now, called Mountain Lion Preview 4. End-users will get it by late July . 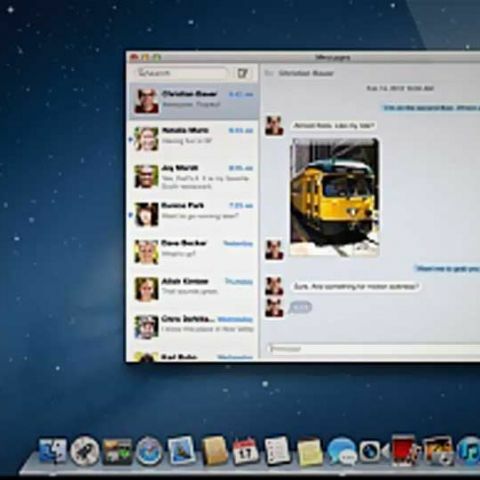 Some of the noteworthy features of Mountain Lion showcased at WWDC 2012 were as follows. When your Mac goes to sleep, it still gets things done with PowerNap. It periodically updates Mail, Contacts, Calendar, Reminders, Notes, Photo Stream, Find My Mac, and Documents in the Cloud. When your Mac is connected to a power source, it downloads software updates and makes backups with Time Machine. While all that updating is going on, the system sounds are silent and no lights or fans come on. It only works with the second-generation MacBook Air and the new Macbook Pro with Retina Display announced today. The feature was first introduced with the third generation iPad and is now making its way to Mac computers through Mountain Lion. When you say “comma” or “exclamation point,” Dictation punctuates for you. The more you use Dictation, the smarter it gets. It learns voice characteristics. There's also new Facebook integration, to go along with the Twitter integration. Just as you can tweet directly from the Safari browser or the OS, you can post to Facebook directly from the system. Contacts and calendar with sync, and you can Like and see who's Liked items in iTunes and the App Store. Apple has confirmed that Game Center will arrive on Mountain Lion. Gamers will be able to compete with each other between Apple devices be it the iPhone, iPod Touch, iPad or Mac computers’ running Mountain Lion. Since Game Center uses Apple ID, there's no need to create a new or unique login. You can use your existing Apple ID on multiple devices. It’s easy to set up your Mac with your Apple TV, and you can show web pages and videos, apart from replicating your Mac on your TV wirelessly. AirPlay audio streams the music, podcasts, and other audio on your Mac to AirPlay-enabled speakers. If you are wondering whether your device is ready to run Mountain Lion, your device needs to be one of the following, or later generations. For those of you that would like to see Microsoft and Apple go head to head in the OS war can take a look at Windows 8 vs Mountain Lion. Apple and Microsoft, both seem to have taken the same route with a seamless integration of their OS over different devices. Mountain Lion, iOS and iCloud has created a seamless ecosystem of Apple products where devices sync wirelessly and you can begin work on one device and finish on another. Microsoft seems to be doing the same thing with Windows 8 and Windows Phone, with Windows Phone 8, we will see support for more than just Metro-style apps. We have also seen a seamless integration of Xbox Live on Microsoft devices. The biggest difference between the two giants is that Windows 8 is a desktop OS that works well with a touchscreen as well as a keyboard and mouse, whereas though Apple has spurned touchscreens on its laptops, its fantastic multi-touch trackpad that can use gesture for a variety of functions. You can check out our complete WWDC coverage here. any security concerns while using this system?